Wouldn’t life would be so much simpler if we didn’t have to buy groceries? If we could take all that money we spend on groceries every month and put it towards paying off debt, saving for retirement, or going on vacation. Well, I have a secret to share with you. 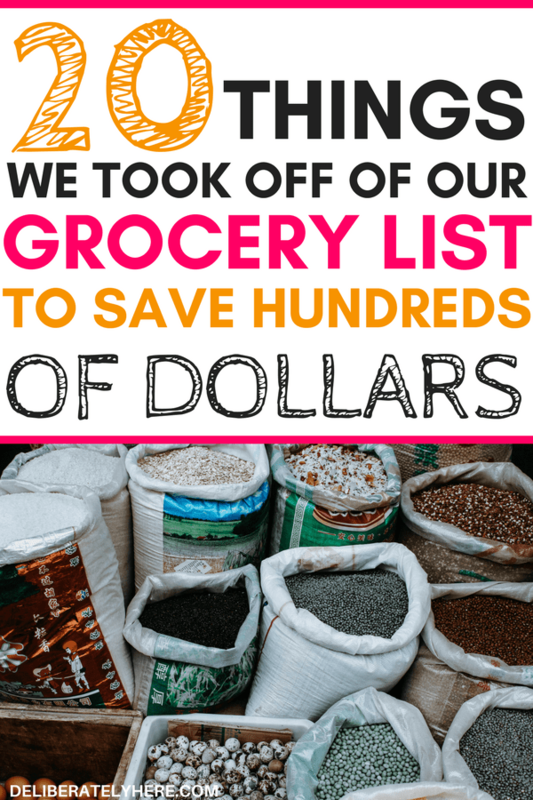 I have a list of 20 things we took off our grocery list that has saved us hundreds upon hundreds of dollars – which has enabled us to buy groceries AND have extra money to put towards other things every month. 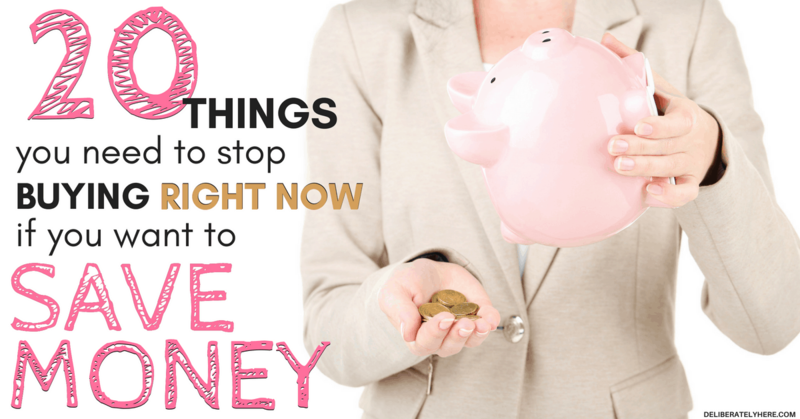 And, if you follow this list, you could have hundreds of extra dollars to spare every month, too. 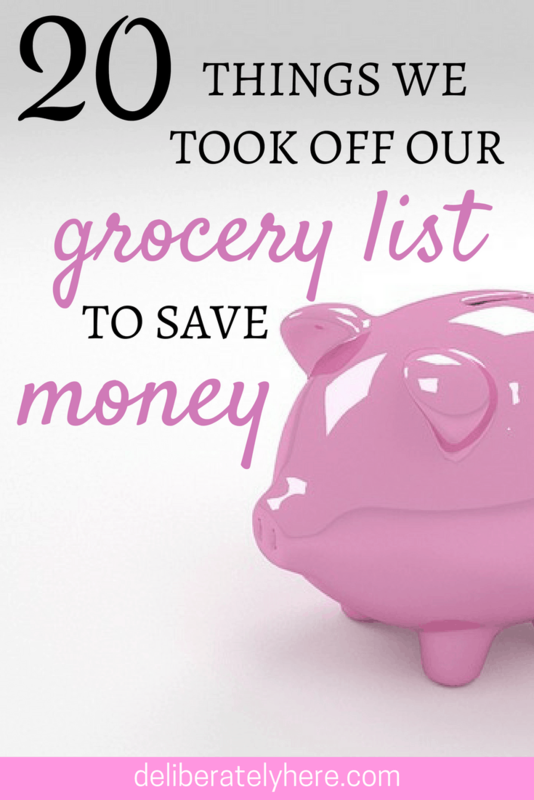 ✅ This specific planner is how we cut our grocery bill in half. If you’re not careful, grocery shopping can quickly become one of the most expensive bills you will pay every month. 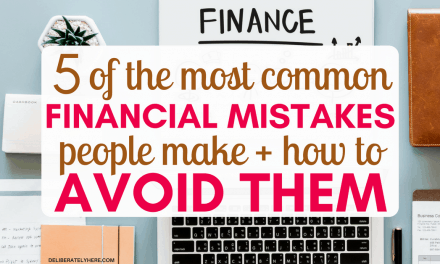 When I first got married and started grocery shopping for my new small family of two, I just assumed that’s how grocery shopping was – expensive. I didn’t think there was any way around it, and I didn’t try to find a way around it, because, well, I just assumed it was a part of living. 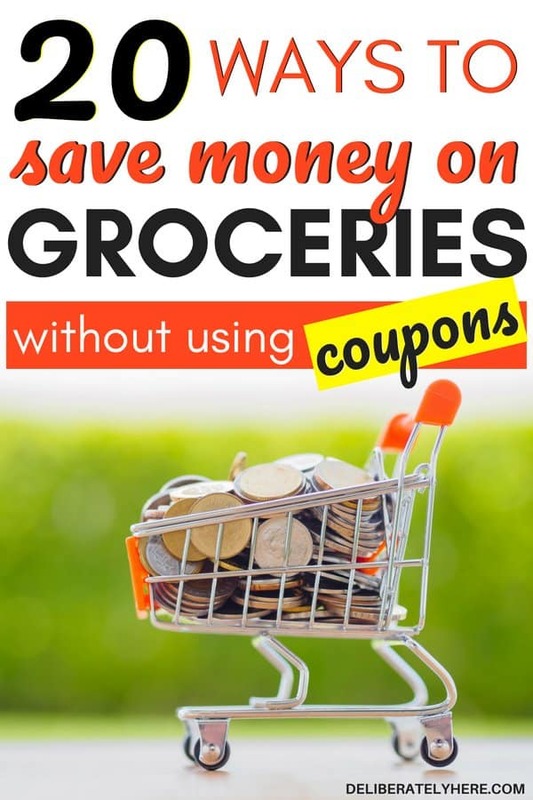 After just a few short months I realized that we couldn’t keep spending as much money on groceries as we had been spending and it was time to start making minor changes that would help us save money on our grocery bill. 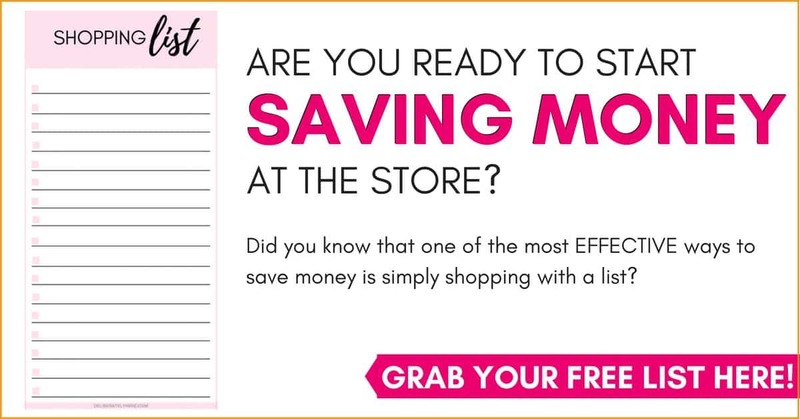 Want to learn how my husband and I lowered our grocery bill from $1,000/month to less than $300/month? 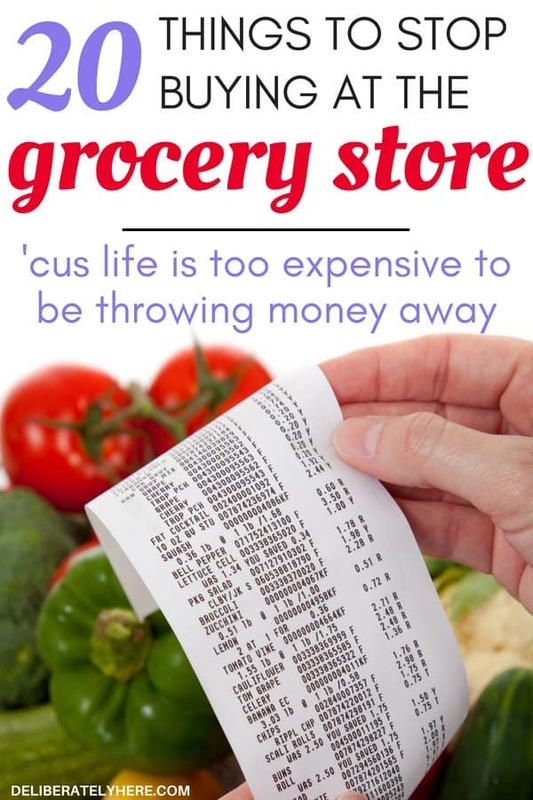 If you’re someone like me who thought that having an overwhelmingly expensive grocery bill was just a part of life, you’re in the right place. 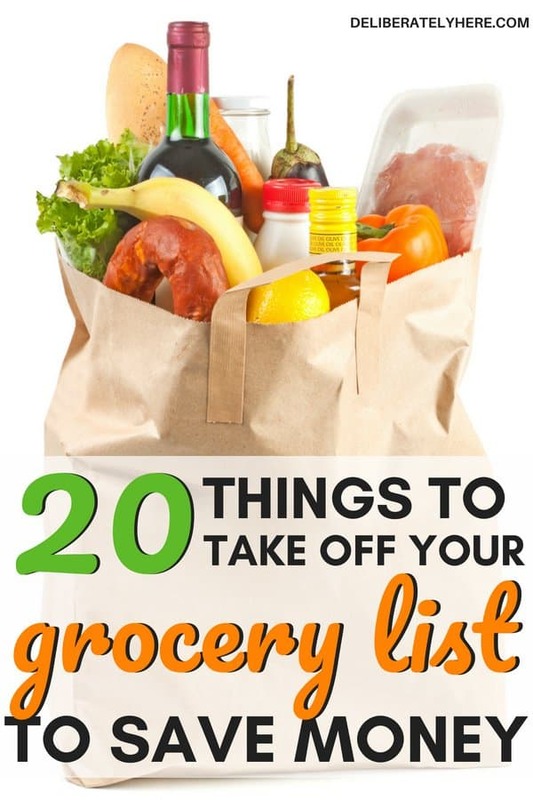 Grocery shopping doesn’t have to be your highest monthly bill (or even in the top five!). 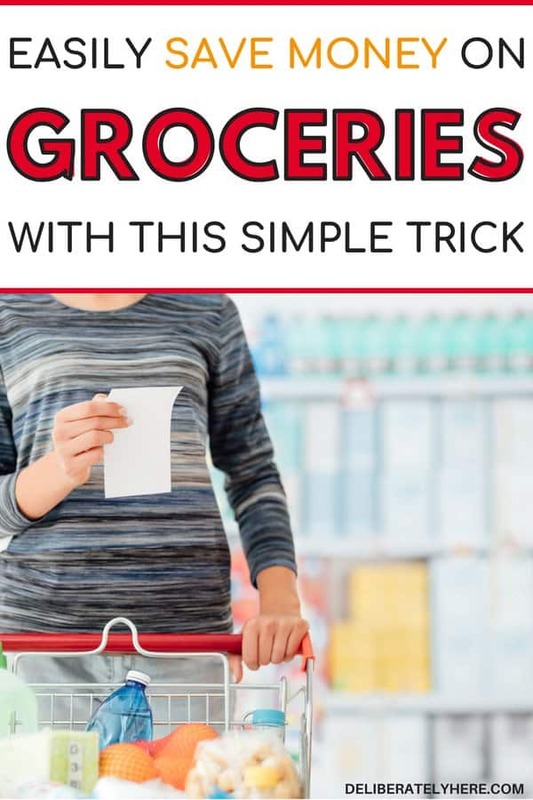 It IS possible to have a significantly lower grocery bill without giving up your way of eating, and in this post, I’m going to show you exactly how we did it so you can do it too. 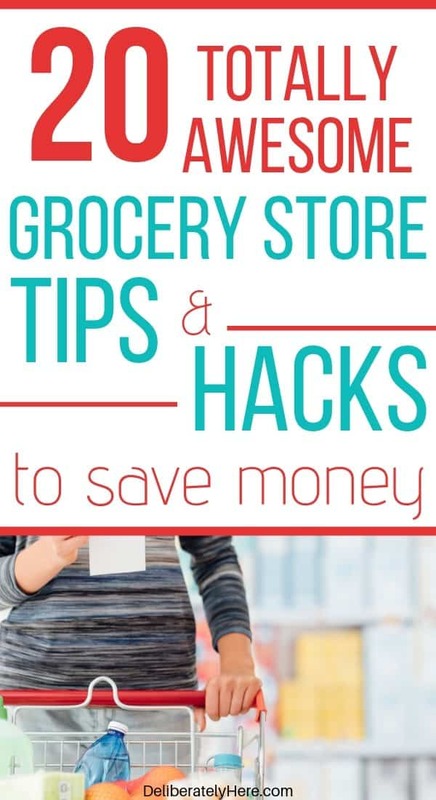 While there is no way to make your grocery bill disappear altogether (you DO still have to eat…), there are lots of little and not-so-little changes you can make to bring it down significantly. If you’re looking for an easy way to make an extra few dollars today (not enough to cover the mortgage – but enough to give you some spare spending money or to pay for some of your groceries), and you have a few extra minutes, you can sign up and start completing surveys on Survey Junkie – for free. 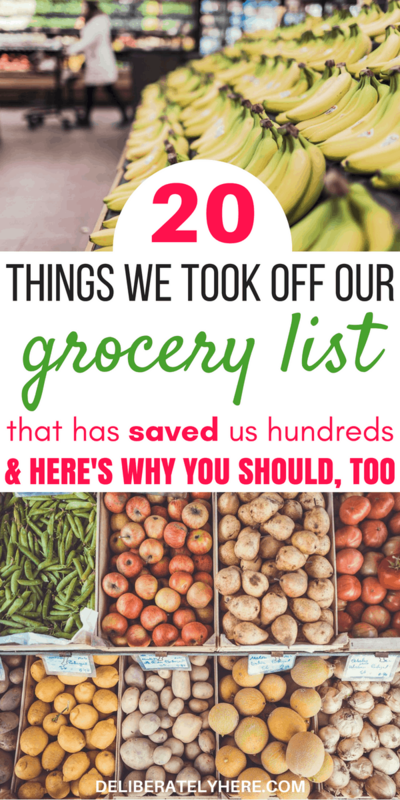 Are you ready to dive into the 20 things we took off our grocery list to save money, and learn how you can do it too? 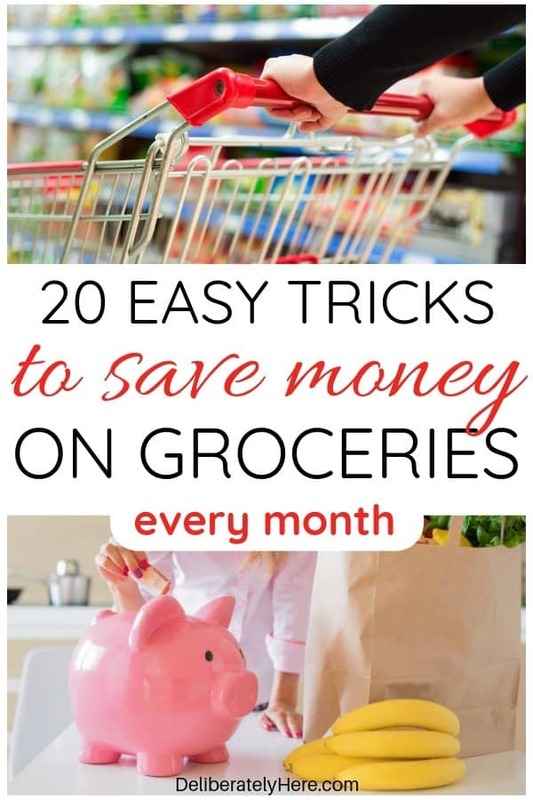 To start, use this money saving grocery list to start saving money (did you know that using a grocery list to save money is one of the fastest ways to cut your grocery spending?). Stainless steel baking sheet. Use this to start baking your own cookies and treats at home. Airtight storage containers. For storing big bags of flour and sugar. Coffee maker. Rather than buying coffee out each day. You can even grab a coffee maker that has the option to make one cup of coffee rather than a whole pot. Silicone baking cups. These are the exact ones I use and I love, love, love them. Meal planner. You can create your own or grab a free one here. Instead of wasting 5 cents per bag when we go grocery shopping, we decided to purchase reusable shopping bags that we now bring with us when we go shopping. These reusable shopping bags aren’t only good for saving money at the grocery store, they’re also great to just have at home. If you’re going away, you can use them to pack clothes, toiletries, games, and snacks in as well. The reusable shopping bags I use have many more purposes than simply being used at the grocery store, so you can bet they have more than paid for themselves many times over. Rather than buying store-bought cookies and muffins, I make all my own snacks and treats at home. Doing this saves us a significant amount of money, and only requires a bit of time. Many people don’t make homemade treats because they feel like they don’t have enough time, but if you dedicate one afternoon to making several batches of cookies and muffins, then stick them in the freezer so they stay fresh, you should be able to make enough in one afternoon to last a couple weeks or even longer. Another bonus of making homemade treats is knowing exactly what ingredients are going into the things you’re making. These stainless steel cookie sheets are a cooking necessity. Like with the cookies and muffins, I also make my own bread and buns. Many people don’t make their own bread because they think it’s too time-consuming and too finicky. I am here to tell you that it doesn’t have to be hard, and though it may take a couple hours before it’s done, you don’t have to be tending to the bread the whole time. You can simply mix and knead the dough, then it rises for about an hour, then you shape it into loaves or buns, and it rises for a bit more time. Making homemade bread may take you an afternoon, but a majority of the time it takes to make is rising and baking time, and you are able to do other stuff during that time. If the thought of making homemade bread is enough to scare you away, don’t worry, after a time or two you will have the art of making homemade bread and buns mastered. Add making homemade bread to your day of making homemade cookies and muffins, and with one day of baking at home, you will have a good month’s worth of bread, buns, and treats in the freezer. Even if you don’t enjoy baking, how can you pass up one day of work for a month’s worth of homemade food? If you decide to make your muffins, cookies, desserts, bread and buns all at home it won’t be long before you’re reaping the savings. You don’t have to stop at homemade bread and buns, you can also save money by making homemade tortillas (though they are a bit more time consuming to make). If you’re ready to start making all things homemade, a good Kitchen Aid is definitely something that you will want to look into getting. Small bags of flour and sugar should be something of the past – you can save a LOT of money by purchasing big bags of flour and sugar. Just be sure to grab a couple of these to keep it fresh and help your flour and sugar last as long as possible. I used to buy my bags of flour and sugar from our regular grocery store, and I never did realize how much money I was wasting us by doing this. It took me a while, but I finally realized how much money we could be saving if we started buying the large, Costco-sized, bags of flour and sugar. Because I do so much baking at home, I go through a lot of flour and sugar, so deciding to buy the large bags was a great choice for us. If you have the space to store it, you can save a lot of money with buying the large bags. You don’t need to worry about the flour or sugar going bad, either. Flour stays at it’s best quality for about a year at room temperature, about two years in the refrigerator, and indefinitely in the freezer. Likewise, sugar will stay good in your pantry indefinitely, so you don’t need to worry about those large bags of flour and sugar going bad anytime soon. If you live in a small place and don’t have much room to store large airtight containers for the flour and sugar, find stackable containers that can easily be stored on top of one another to utilize and free up some extra space. I’ll be the first to admit that we haven’t completely stopped this one, as we do still enjoy to grab a cup of coffee occasionally while we are out, but we have most certainly cut down on how often we do. Rather than always going out for coffee, we invested in a good coffee maker and now make our coffees at home before we hit the road so we aren’t tempted to make a quick stop at the coffee shop on the way out. While buying K-cups for your coffee maker at home is still cheaper than going out for coffee, it’s not the cheapest option out there. Rather than buying the individual k-cups, we just buy a large can of coffee grinds (or beans and then grind our own) and use the filter that our coffee maker came with so we can still make single cups of coffee for a fraction of the cost. We stopped buying pre-made pizzas and pasta sauces and started making our own instead. Making homemade pizza is incredibly easy and doesn’t take much time at all. Making homemade pasta sauce is also very easy. Simply use tomato sauce or tomato paste and add any seasonings you have on hand to it to make your very own pasta and pizza sauce. Buying pizza from a pizza place can be incredibly expensive, especially once you realize how easy it is to make pizza at home. I’m sure you’re familiar with those delectable chunky soups. Oh, how delicious they are! Though they are delicious, when they are around $3/can, it can get pretty expensive. So instead of buying those soups, I now make homemade soups. Soup is something I didn’t make too much of when I was growing up, but when I moved out I realized how truly simple it is to make, and how delicious they can be. The bonus? I like to make big pots of soup so my husband and I don’t finish the whole soup in one meal, so I stick the leftover soup into the freezer for a great ready-made dinner on a busy night. I buy whole chickens that my husband and I can eat for a meal, then after we are done I save the bones and any leftover meat and make a soup out of it. Buying whole chickens for meals rather than spending money on chicken breasts is a smart way to save money on groceries for a large family. I learned how to meal plan, and once I got the hang of it I was able to cut our grocery list in half. 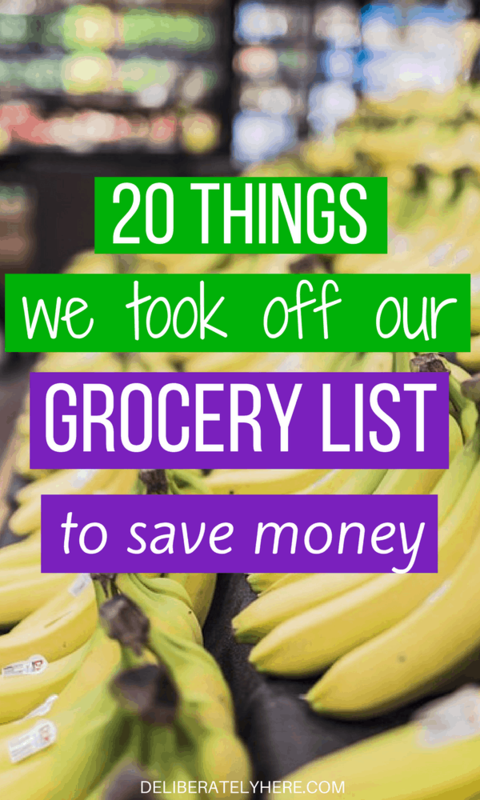 Though everything else on this list helped lower our grocery list by a lot, meal planning was the number one thing that helped the most. I also stopped doing those last-minute trips to the grocery store to grab just one thing. We all know those last-minute-I-just-need-one-more-ingredient-for-dinner shopping trips are huge money suckers, and you never end up leaving the store with just one thing. Not only are you wasting money on gas by starting the car up and driving to the store, you are also likely to see something on sale that you just have to have, though you really don’t need it, and you might grab a thing or two more, and don’t forget about the main thing you originally came here for. 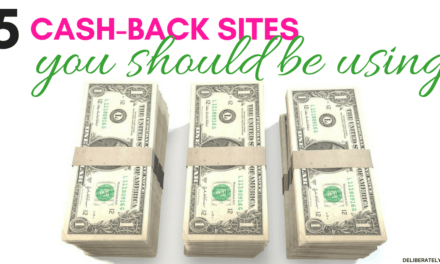 By the time you get to the checkout you likely have several items in your basket and are spending a whole lot more money than you originally planned on. My husband and I don’t live near a Costco, but when we make city trips I try to squeeze a Costco run in if I can. Since we don’t need to feed a large family, I obviously can’t buy all of our food from Costco, or it would go bad before we got around to using it. But, we are able to buy some of our food and other products there. I especially try to buy our non-perishables at Costco if they’re on for a good price. I always buy large bags of flour and sugar from Costco as it’s the best price around. Be careful, though. Not everything at bulk food stores is a better deal than buying them in smaller quantities at other stores. Make sure to compare prices before you go on a Costco shopping spree thinking that you’re getting everything for a great deal. Here are 10 things you should always buy in bulk. Rather than literally buying something only to throw it in the trash after one use, I have completely stopped buying paper muffin cups and have instead bought a pack of silicone muffin cups that I can use time and time again. Having reusable silicone muffin cups allows you to save money (and quite literally stop throwing your money in the trash) and helps you never run into the problem of being part way through muffins only to realize you don’t have enough muffin cups. Silicone muffin cups don’t need to be used as just muffin cups, either. They can be used for cupcakes and muffins, but some people also use them for things like sending their kids fruits and vegetables to school in the muffin cups. What a neat idea. They are very affordable, too. You can get a 24 pack of silicone muffin cups and they will last you a very, very long time. I bought mine a long time ago now and I still love them. They’re also dishwasher safe, so you don’t have to stand around washing muffin cups all day. Now I save money by buying herbs when they are on sale. ONLY when they are on sale. And we still have fresh herbs all year long. What’s my secret for having fresh herbs all year long? I buy them in bulk when they come on sale, bring them home, wash them, chop them up, and stick them in freezer bags. Then in the future when I need fresh herbs all I have to do is grab the bag out of the freezer and take a chunk off to use in my cooking. I get it, pre-marinated chicken wings are so easy to pull out of the freezer and chuck into the oven, and before you know it dinner is ready, but you get so little meat for what you’re paying when you buy chicken wings that way. Instead, try buying a large tray of raw and un-marinated chicken winglets and drummets, and when you’re ready to bake them put them on a tray and marinate them yourself. I love doing our chicken wings this way because then they don’t all have to be the same flavor. I can make half a dozen with a homemade honey garlic sauce, half a dozen with hot sauce, a few with BBQ sauce, and a few salt and pepper. This way we all get a few wing flavors that we like. Rather than always buying chicken breasts in the small packages that are $10 a piece, I started buying them in 4 kg boxes and waiting for sales to come on, and then stocking up on them, splitting them up into portion sized packages and freezing them. 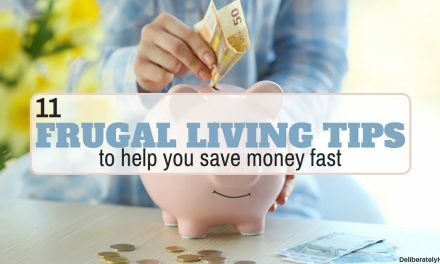 Doing this allows me to get chicken breasts for a fraction of the cost, and though it is one big bill at one time, we have enough chicken to last us several months without having to buy any more chicken throughout the months. 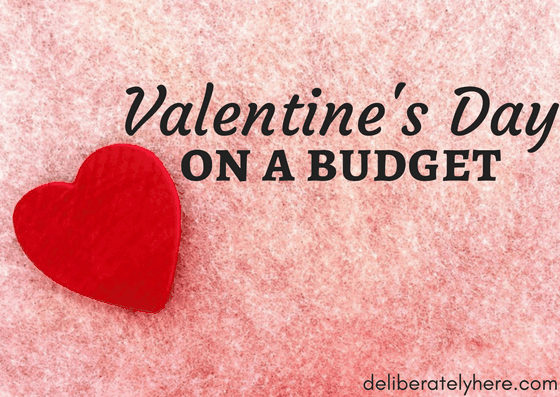 My husband and I used to love having flavored coffee creamer in our coffee, but I soon realized how expensive they truly were. Now we sweeten them with sugar or honey and use either milk or plain cream in our coffee. I realize that margarine is not the healthiest option out there, but when you do a lot of baking, it won’t be long before you’ve spent all your money on butter. I still buy butter for us to have on our bread, buns, and other things, and I buy margarine to use in some of my baking recipes. Although I use margarine in some recipes, I do use butter for some, too. Sometimes it can be tempting while you’re shopping to grab a tasty looking chocolate bar or bag of candies. Stand strong against those temptations. It’s healthier and much, much cheaper if you quit buying those little treats all the time. We didn’t cold turkey this one, but we did certainly cut down a lot. We used to eat out fairly often, not realizing how much money it was really costing us. We didn’t go to the fancy places too often because we didn’t want to spend $100+ on dinner, so we would opt for the cheaper restaurants, not realizing that even those cheaper restaurants were sucking money out of our wallet just as badly. 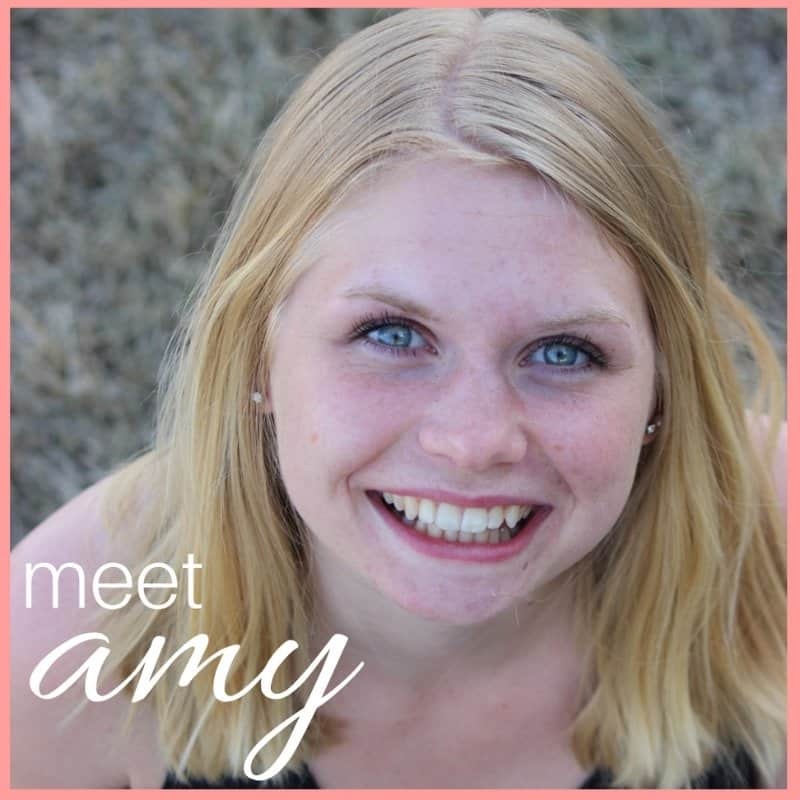 Instead, I used my handy-dandy meal plan and started planning meals for each day of the week rather than going out to eat or ordering in. 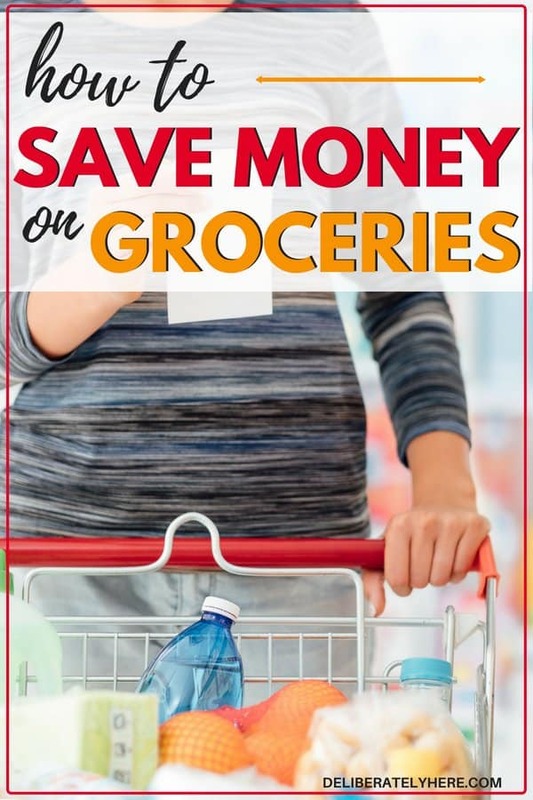 Whether you thrive off of creating grocery lists and you like to create a master grocery list or you prefer to stick to a basic grocery list, shopping with a grocery list is the easiest way to save money. You can grab a free grocery list by clicking the image below. Hooray for Costco! We are also a small family (though soon to be 4) and we shop at Costco weekly for fresh produce and other non perishables. It is so much cheaper! We also do a ton of freezing of bulk items. Thanks for the tips. I believe Costco is pricing me out of their membership. At $60/year I’m not saving, I’m spending on them. Get real Costco! 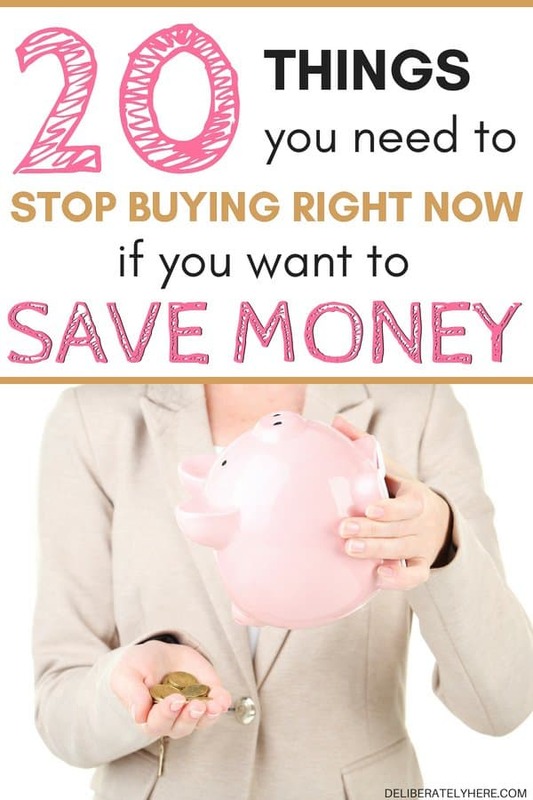 Although I do a fair bit of my shopping at Costco, I do agree with you – if you can’t save more than you’re spending then it’s definitely not worth it! Thanks for sharing! I’ve never seen those muffin cups before. This was a great read! It is amazing what you can save when you just buy the basics. So much healthier too! Thanks so much! Yes – it really is amazing! Buy butter on sale and freeze it so you don’t have to put the poison that is margarine in your body! Your health is worth the cost. I have to say I agree with most of your ideas with the exception of using margarine in anything!! This is NOT food and putting it in your body will cost you way more in medical bills down the road than it does to use butter or coconut oil in the present. I love your idea of using coconut oil in place of margarine. I’ve heard many good things about coconut oil, but haven’t experimented with it too much myself, I will have to try that out! I love butter, and use it. But margarine isn’t poison! Ridiculous! I guess everyone has different opinions. 🙂 But I agree – I do still use margarine in moderation. For those of us that are blessed to live near the Mexican border, consider shopping at the local flea market. Our Rio Grande Valley flea markets always have spices for a fraction of the cost of the grocery. And the produce that comes across the border! Oh, my, a box of 20 mangos for $3 – I’m delirious!! Those Mexicans know how to save! At least my Mexican friends do. That is a GREAT idea, thanks for the tip! I used to love CostCo but after losing my mother and husband, leaving me as the only person in the house, I just can’t justify a $60 membership, $60 out the door before I buy a thing???? Their coffee was all my husband & I used for years and years but I just have had to learn to make do with a standard store brand. Other items that are only available there simply have to be out of my circle anymore. Isn’t it a pity that Costco can’t get it into their heads that they would sell far more products to lots more customers if they did away with their totally unnecessary membership fee.